YES. Valium is addictive. In fact, you can even get addicted to diazepam when Valium is prescribed by a doctor. 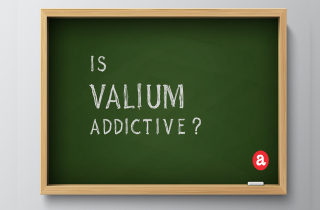 We review what Valium is made of, and how you get addicted to Valium here. ARTICLE OVERVIEW: Yes, Valium is addictive. If you’re taking Valium as directed by your doctor, you probably won’t get addicted to Valium. But if you’re taking larger doses than prescribed to try to “get high” then you’re misusing the drug, which is more likely to cause an addiction. The active ingredient in Valium is a synthetic substance called diazepam, created in a lab. Diazepam is a benzodiazepine medication and comes from the benzo family of drugs, known for being habit-forming. Diazepam can make you feel high. But when you take Valium to get high, you increase risk for addiction. Still, Valium has a fairly low addiction potential when taken as prescribed for the period of a few weeks, or less. In fact, the U.S. Drug Enforcement Administration classifies Valium as a Schedule IV narcotic. This means that Valium is less addictive than other drugs. In fact, it is considered a relatively safe medication, unless taken in conjunction with alcohol or another central nervous system depressant. Valium helps relax the brain and body. When taken as prescribed, Valium can offer relief from symptoms throughout the day. But calming effects have a dark side; Valium is a common drug of abuse because it is so effective. Moreover, when you take Valium to try to achieve a euphoric high or mix it with other drugs, Valium can become addictive. You can be dependent on Valium without becoming addicted to it. Someone using Valium to treat their anxiety, for instance, may have trouble getting through the day without it because of illness, or may experience withdrawal effects if they stop taking Valium. But this isn’t the same as an addition. Valium addiction involves a psychological compulsion to seek out the drug, despite negative consequences of continued Valium abuse. In other words, if you use Valium to get high, avoid psychological or emotional issues, or compulsively use Valium, you could be a Valium addict. If you become dependent on Valium, you need to slowly reduce doses over time when you quit. How can you quit Valium safely? The Aston Manual provides you with simple tapering schedule from Valium. It is possible for you to get addicted to Valium even if you take it exactly as prescribed. It’s far less likely that you’ll get addicted this way, however.You should use Valium only as prescribed by a doctor, and keep in mind that long-term use of Valium may not be effective for your condition. Further, it is not known if Valium is safe and effective for use for a period longer than 4 months. The FDA Valium label warns that benzodiazepines like diazepam are usually used for short periods of time because of their addictive potential and rebound adverse effects. Chewing Valium to prevent controlled release. Crushing Valium into a powder and snorting Valium. Crushing Valium to dissolve in water and inject. Taking Valium in higher doses than prescribed. Taking Valium more frequently than prescribed. Despite all public effort to raise awareness of the possible dangers of long-term use of Valium, this medication is still one of the most wildly used in the US. A 2015 article published in JAMA Psychiatry about U.S. benzo use reports that in 2008, approximately 5.2 % of Americans aged 18-80 used benzodiazepine like Valium. This percentage increased with age from 2.6% (18-35 years) to 5.4% (36-50 years) to 7.4% (51-64 years) to 8.7% (65-80 years). Valium dependence and addiction can be hard to tell apart. Valium addiction causes intense cravings for the drug, and leaves a person with the feeling that he or she can’t live without taking it. But how can you distinguish between a drug craving and withdrawal? Addiction is a chronic disease characterized by drug seeking and use that is compulsive, or difficult to control, despite harmful consequences. Basically, this means that people who have a Valium problem can stop using the drug…but can’t stay stopped. Addiction compels you to use your drug-of-choice again and again. In other words, you may be addicted to Valium if you need to take it to deal with normal emotional and mental stresses in daily life. Continued Valium abuse despite negative consequences. Craving Valium and using it compulsively. Seeking Valium in order to stimulate the “reward center” of the brain. Difficulty functioning on a daily basis without the drug. Taking prescription drugs from family members or friends. Visiting multiple doctors, forging prescriptions, or accidentally losing prescriptions in order to get more medication. Neglecting former friends or favorite hobbies. If you notice any of the above, don’t lose hope: addiction is treatable medical condition. You should not feel ashamed for having an addiction problems. Just reach out for help! STEP #1: Accept the fact that you have a problem. The path to addiction recovery starts when you admit that you have a problem. There is no longer shame associated with addiction. It is a medical condition. But, you must first accept that you’re in over your head. Then, be honest about all the negative effects that addiction has on you, your friends, and family. Honesty is the first step. STEP #2: Devote yourself to change. Then, motivate yourself to address the addiction. Find a reason to quit. YOU are the only one that can change your life for the better. The process is very much internal. So, commit to a change and then move forward. Do you still have questions about Valium addiction potential? Please leave them here. We are happy to help answer your questions personally and promptly. If we do not know the answer to your particular question, we will refer you to someone who does. Hi Ive used. I suggest that you call the helpline you see on the website to get in touch with a trusted treatment consultant who can help you find the best treatment for you. Valium (and similar) are addictive to me because they work: I sleep really well and have less muscle pain so I feel really great the next day and can achieve lots, in other words it WORKS. Doctors give us drugs to control disease (when they can’t cure it), when they work we want to continue using the treatment they prescribe us. What does addictive mean? Do patients get addicted to e.g. medication for heart disease or diabetes? What is the difference between NEEDING our medication (eg my thyroxine – or I die) and the need I have for good sleep, less pain and fewer days in the bin? I understand that valium (and similar) are controlled drugs, doctors precribe them for my anxiety and sleep because I have too much stress to try to cope with including no healthcare cover, no GP, no treatment for my physical injuries, no dentist, dangerous housing and threats of eviction. So they prefer I get addicted to their (‘legal’) drugs than help me remove the stresses? The psych really pushed me to have these drugs, I love them because they work, he wants me to control my use of them but knows I will over time need/want more. Choosing this for me (not my choice = last resort) is cruel and not in my best interests. Mistreatment, neglect and cruelty of a person (older person) with mental health (and physical) illness/injury – surely that is criminal? 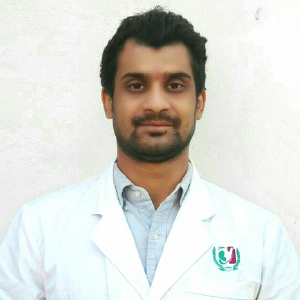 You can become dependant taking as prescribed in tiny doses.. speaking from experience! !! Benzodiazapines were produced for a safer substitute for barbiturates. The habitation of alprazolam, is a issue. But the use of these anxiolytics for the purpose of improving your life and use of disabilities of severe anxiety are within the risks and the judicious use of them are effective. I suffer from Trigeminal Neuralgia and take Lamotrigine 200mg, Gabapentin 300mg and Cymbalta 60mg. I have severe pain at night from the TN so I tried 1 Valium 5mg at night with my other medications and have found that I can get through the night without pain. Would something that cause physical dependence on the Valium? Hi, Julie. I suggest you speak with your doctor how Valium interacts with your other medication, and is it safe to combine them.